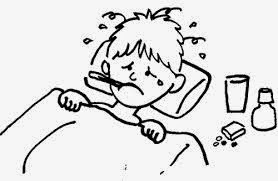 Fever (higher body temperature) is, according to National Institutes of Health (NIH), is not an illness but a body's defense against infection. NIH has described the person's body temperature higher than 99.5 degrees F for child and 99 to 99.5 degrees F for adult has the fever. 1) Fever can be caused when the body is trying to fight with particular infection like ear infection, urinary tract infection etc. 1) Cloth dip in cold water: Soak the cotton cloth and dip it in cold water. Wring out the excess water and keep it on forehead for couple of seconds. Repeat it for 10 to 15 times every 6 hours. You can also use the cloth dip in cold water as a sponge to wipe your body. a) Boil a piece of ginger and basil leaves in a cup of water for 10 minutes. Switch of the gas. Add a few drops of honey and have it couple of times in a day. b) Mix 2 tbsp of Apple Cider Vinegar, 1 tsp of honey in glass of water. Have it 2 to 3 times in a day. 3) Mint Tea: Mint has the cooling effect and helps your internal system to recover fast. 4) Turmeric Milk: Haldi or Turmeric is the super spice that can be used as a remedy for as many problems as you can think of. Add 1/2 tsp of turmeric in a cup of warm milk and drink it twice in a day. 5) Avoid cold water / cold drinks and taking bath in cold water. Totally avoid eating outside during the time you are suffering from the fever. Leafy vegetables / fruits / milk are the healthy options to go with for few days.